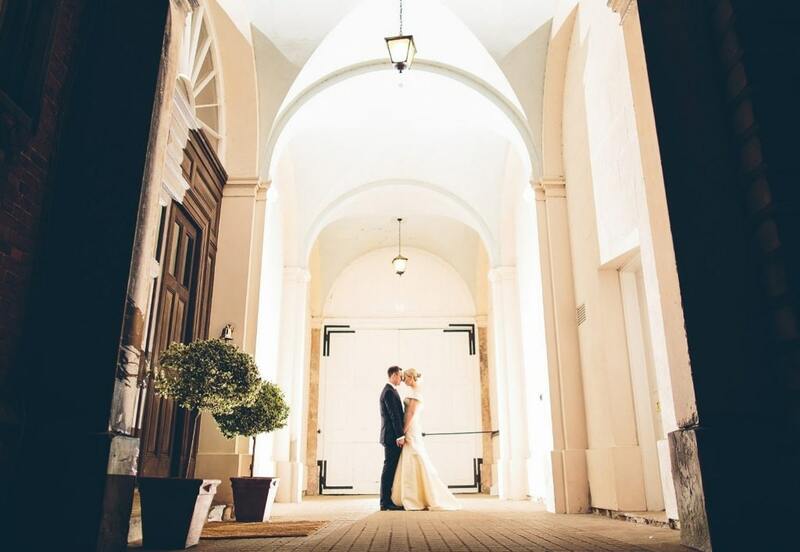 Capesthorne Hall is a beautiful family-owned stately home which can be your exclusive venue for your dream wedding day. 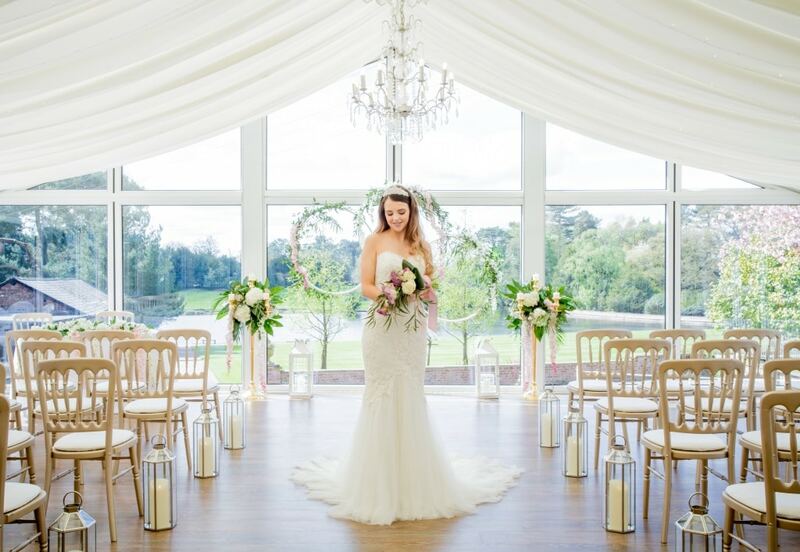 Set in 100 acres of the beautiful picturesque Cheshire countryside, this truly unique wedding venue overlooks three lakes and stunning formal gardens. The team at Capesthorne Hall are dedicated to making sure your wedding day is as relaxed and special as you always hoped it would be. As every wedding is different, and every couple wants their day to be uniquely special, we are happy to be flexible and work around your requests. We aim to give you a truly attentive service, with help and advice always on hand. It is our attention to detail that helps make Capesthorne Hall one of the most desirable wedding venues in Cheshire. Your wedding would commence in the elegant Drawing Room with its magnificent chandeliers and Italian paintings. 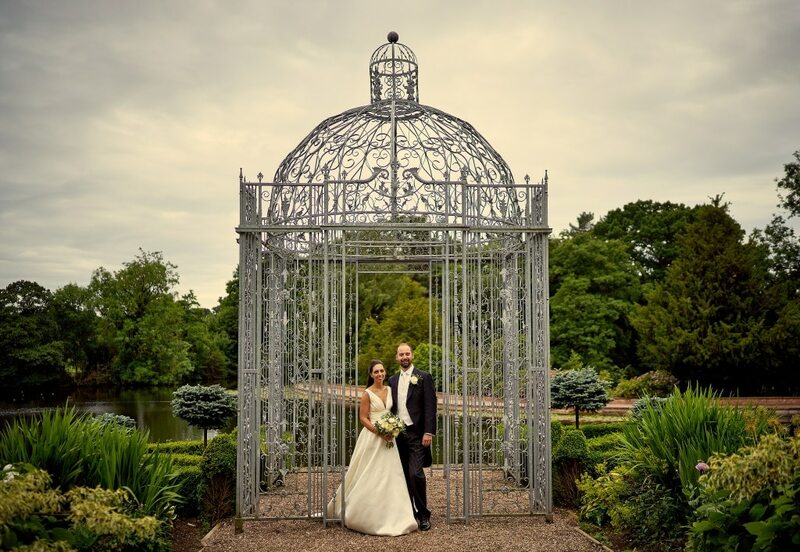 We are also licensed to host civil ceremonies in a variety of locations in the grounds, including our outdoor Gazebo which borders the stunning lake. Drinks receptions take place in the Saloon which opens out onto the Terrace leading to the expansive West Lawn. Here you can enjoy the views with your guests. After the ceremony and drinks reception, guests can enjoy the warm and intimate atmosphere of the Queen Anne Room for the wedding breakfast. Capacity for formal dining in this room is 80. The informal Lakeside Wing, overlooking the beautiful lakes and gardens, provides a more contemporary setting for your evening reception. Capacity for your evening entertainment is 180 in the Lakeside Wing. The Lakeside Wing can also be used for larger wedding ceremonies and wedding breakfasts, with capacity for up to 160 guests for formal dining. It is south facing and has wonderful elevated views over the Lake and formal gardens. Guests can enjoy lawn games here when the weather is fine. The Milanese gates opposite the Chapel open up to the gravel pathway which is bordered by colourful perennials. This path leads to the Lakeside Gazebo, a stunning location for outdoor weddings and romantic photographs. Capesthorne’s extensive gardens and lawns lend themselves to marquee weddings for larger numbers of guests. These beautiful gardens are unrivalled by any other Cheshire wedding venue. On-site accommodation is available to book and includes South Tower cottage, Lakeside cottage and six lodges. The cottages sleep four/six guests and the lodges sleep two guests each. The Capesthorne Wedding Team are dedicated to making your day special.